Vincent Gelcich was a medical doctor and early oil field promoter whose singular contribution to Santa Clarita Valley history — and the development of California's oil industry — was to bring Pico Canyon's oil seepages to the attention of L.A. and San Francisco venture capitalists who would subsequently finance the state's first successful petroleum operations. Born in 1828 in Splitsko-Dalmatinska, Croatia, then part of the Austro-Hungarian Empire, Gelcich studied medicine in Venice and Trieste and got caught up in the revolutions of 1848. Fighting for Italian independence from France and Austria, he helped Giuseppe Garibaldi lay siege to Rome in 1849. After French troops routed Garabaldi's forces, in 1850 Garibaldi went to New York and Gelcich went to San Francisco. Garibaldi would return to Italy in 1854; Gelcich stayed in San Francisco where he opened a medical practice in 1856 and became a U.S. citizen in 1860. Gelcich was a doctor at a time when doctoring meant all-in-one general practitioner, surgeon, pharmacist and chemist. It should be remembered that prior to 1859, when it was first used as an illuminant, oil was primarily a medical curative, applied both internally and topically, for everything from headaches and nausea to skin disorders. Thus it follows that Gelcich would be interested in petroleum production. Clearly he was interested by 1863, when he leased a seepage at Moody Gulch near San Jose and formed an oil company. That same year, on Dec. 19 at Santa Clara, Gelcich married María Petra Celestina Pico y Bernal, daughter of the onetime alcalde (mayor) of San Jose, Antonio Maria Pico, who, after statehood, was a Republican Party elector. Antonio was also a brother of ex-Gov. Pio Pico and Mexican Gen. Andrés Pico; thus Gelcich's new bride, who went by "Petra," was their niece. Uncle Andrés had been skimming oil from the Pico Springs in the Santa Clarita Valley since 1855 [or maybe not; see here —Ed.] and bringing it to the Mission San Fernando, where he lived. There can be little doubt that Gelcich knew of the Pico Canyon seepages by 1863-64, and possibly earlier; in 1865, together with Andrés Pico, E.F. Beale and others, he formed the Los Angeles Asphaltum and Petroleum Mining District, which granted to Andrés the naphtha springs claim in Pico Canyon. By 1866, Gelcich was publicly trumpeting the region's prospects in the press. The Civil War hadn't gone by unnoticed. Although it left California comparatively unscathed, Gelcich enlisted June 2, 1864, as an assistant surgeon. He mustered into the 1st Battalion of the Native California Cavalry at the Presidio of San Francisco. The following spring he was transferred to the 4th California Infantry as chief surgeon; on Nov. 30, 1865, he mustered out and returned to private practice in San Francisco. 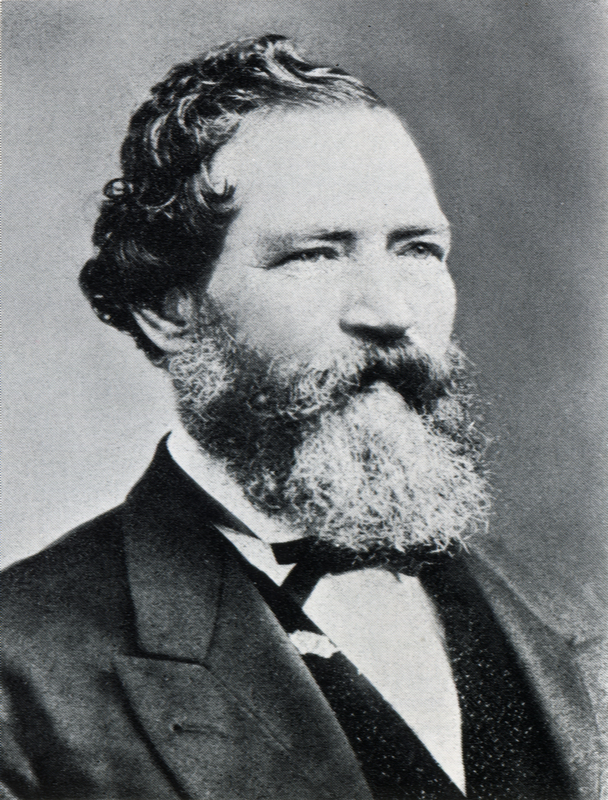 About 1869 he opened a second medical practice in Los Angeles; he maintained homes and businesses in both cities. Meantime, speculators whose names are remembered on street signs and local maps — Lyon, Wiley, Rice, Leaming, Towsley and others — were poking around in Pico and adjacent canyons, filing claims upon claims. Gelcich, too. But Gelcich was telling everybody about it. By 1872 he was writing glowing accounts in the L.A. newspapers about the area's potential, to attract the attention of L.A.'s movers and shakers — people like Temple, Childs, Beale and Baker, Pico Pico, newspaperman H.C. Austin, and B.L. Peale of the Board of Trade — with whose money Gelcich organized the Los Angeles Petroleum Refining Co. Its goal was to establish a refinery at Newhall. Ground was broken at the Lyon's Station stagecoach stop for a refinery, which was completed in April 1874 at an approximate cost of $3,000. It failed. It was too small, it used experimental chemical processes, it wasn't built by experienced Pennsylvania refiners, and California crude behaved in unexpected ways. Some of the investors lost money, and some of the Pico Canyon claimholders pulled out. Gelcich snatched up Rice and Leaming's claims. But the groundwork was laid. Charles Alexander Mentry, the Pennsylvania driller, was already on scene, and the oil was really starting to flow. Some big-time San Francisco oil merchants — Frederick B. Taylor and his junior partner, Demetrius G. Scofield — investigated the operation and decided to bite the bullet. In late 1876 Scofield recruited an experienced refiner from Pennsylvania to build a newer, bigger refinery at Andrew's Station, the new stagecoach stop on the Southern Pacific line in Railroad Canyon (Pine Street). This time it worked. It was the first commercially productive refinery west of Pennsylvania, built to transform the crude oil from California's first viable wells into a marketable product. In 1879, Gelcich sold out to Scofield. Gelcich's Santa Clara Oil Co., which he'd formed in his Moody Gulch days, was one of the companies that merged into Scofield's new Pacific Coast Oil Co.
That same year, on April 18, Gelcich's wife died at their San Jose home. She was 37. Later in the year, Gelcich married the widow Agnes Dawson Hughes of San Francisco. The couple lived at 240 S. Fort Street (now called Broadway) in Los Angeles. Dr. Vincent Gelcich died at his Los Angeles home on June 5, 1885, at age 56, leaving no children. Following a Catholic Mass at St. Vibiana's Cathedral, he was buried in L.A.'s Old Calvary Cemetery — which later became Cathedral High School's parking lot. Gelcich's remains were relocated to New Calvary Cemetery (aka Calvary Cemetery) at 4201 Whittier Blvd. in East Los Angeles. LW2452: 9600 dpi jpeg from book page ("Formative Years in the Far West," White 1962).